Iranian journalist, Marzieh Rasouli, was first arrested two years ago, as part of a general crackdown on Iran's journalists. Charged with the usual "Acting against the national security", Marzieh and two others were accused of being agents for the BBC Persian broadcasting. Iranian State TV and its English speaking arm, Press TV, showed a documentary they called "Eye of the Fox", in which the accused journalists were shown making forced confessions on how they collaborated with the BBC Persian from inside Iran and "collected sensitive data". At most, if any of these accusations were true, it is far less than the sort of things IRIB and Press TV reporters freely do in UK. 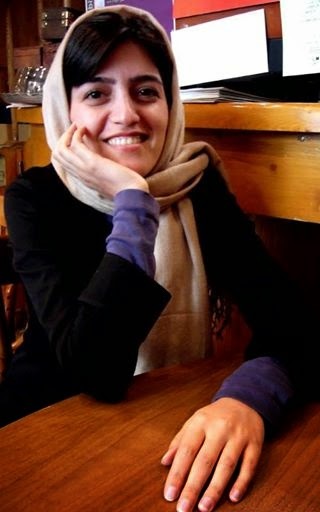 Marzieh Rasouli was freed on bail in February 2012. Today, she was summoned to serve her sentence; two tears imprisonment and 50 lashes. Rahman Bouzari, another Iranian journalist, whose father is a Shia cleric and comes from a very religious family, received 74 lashes in August 2012.